Can you guys believe it’s already Monday? We had a great weekend. Saturday I had a really fun day with NYDJ (more on that to come) that I shared on my #instastories and Sunday was spent with our family eating way too much food, searching for Easter eggs and chatting with the Easter Bunny. Watching a toddler on a Holiday has got to be one of the greatest joys in the world! 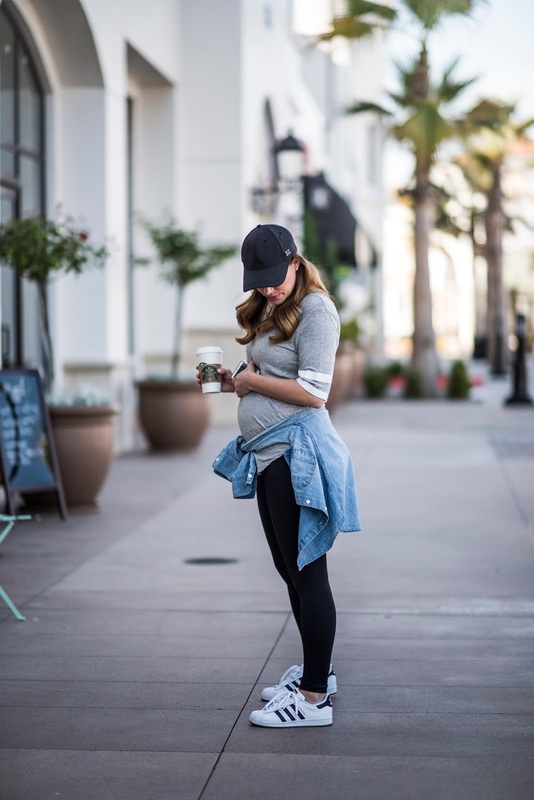 Now that I have a pretty significant bump, I’m enjoying styling it with different outfits and looks and this is one that I would call…”alldayeveryday”. Meaning that while I post fancy outfits and dresses from time to time, the reality is that I live in outfits exactly like this. I work from home so I want to be comfy but I also don’t want to look like a slob. In other words, if I need to run an errand, I want to feel pulled together. The key to styling a bump casually is to find a top that is long and fitted enough to accentuate it so that people aren’t wondering if you merely ate too many peeps versus being 100% sure you are indeed with child. This grey tee (which also comes in pink and blue and a crew neck version) was perfect for that. It’s worth mentioning that this is not a maternity shirt but works perfect for a bump if you have one. 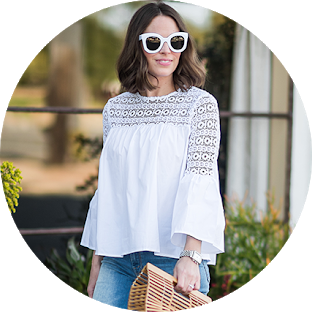 Previous Post The CUTEST Cover Up and SHOPBOP SALE!